Lately we have heard that Fremantle Mayor Brad is encouraging a network of electric car charging stations down south to the Margaret River area while it’s a great area and I love going there myself it has little to do with Freo? I have written a few posts and commented on other blogs about the perceived ideology of the Fremantle City Council. Not that I am against the all ideas they have or drive, quite the opposite some I think are quite good, i.e. the solar farms using abandon/contaminated land for a solar farm is great, better than sitting there doing nothing. As long as the COF runs it as an entity where the ratepayers see a $$$ benefit I’m all for it. If it costs the COF ratepayers then that may be a different story? Then there is their electric car charging network heading down south, is it a bad idea, sounds nice, will it be used much, not really, it was reported last year that about 700 electric cars were in use Australia wide. Now I take it from articles I have read that this network was to encourage electric car users to pop down south for the weekend? That’s allot of infrastructure, time and $$$$ spent to build a network to be used by a handful of people who most probably own a second car which is more than likely fossil fuel powered, even some of the electrics come with built in generators as the Holden Volt does hence why it’s called a long range electric vehicle. So with cars like why go to the expense of building such a network? Now if private enterprise sees it as viable and wish to pay for the whole things that’s great but I wouldn’t hold your breath? 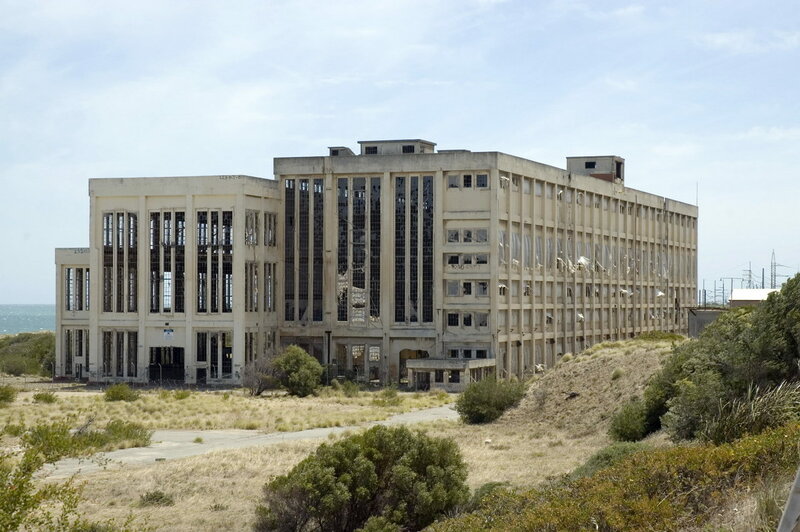 So perhaps the rate payers and residents have to look at such issues or apply these questions, What’s in it for us, How does it benefit Fremantle’s greater city and is it the best use of our funds for the return we get? It’s a council not a state government or Federal government, just responsible for the greater district of Fremantle, not world events? I went to a talk/presentation the other day at UWA an interesting Danish guy Bjorn Lomborg who has a great outlook on the world and how best to help it, he currently heads a think tank that helps the UN direct funds for its operations worldwide. It was a great presentation and I could not believe what a down to earth common sense approach he gave such big issues? You can argue with the politics of it but the sense and practicality of his approach was incredible. His approach on best value of return for $ invested was really great to see explained. His other major point was to many policies not enough priorities, he referred to the UN’s scattergun style effect on the number of issues they want to address but little prioritizing of whats really important, (due many i assume to the size and politics of the place, so many people to keep happy) and is really effecting the impact they have on the issues they are trying to change? Shame it was not a longer presentation? The other question is that will base station electric charge cars be the future of clean energy vehicles. 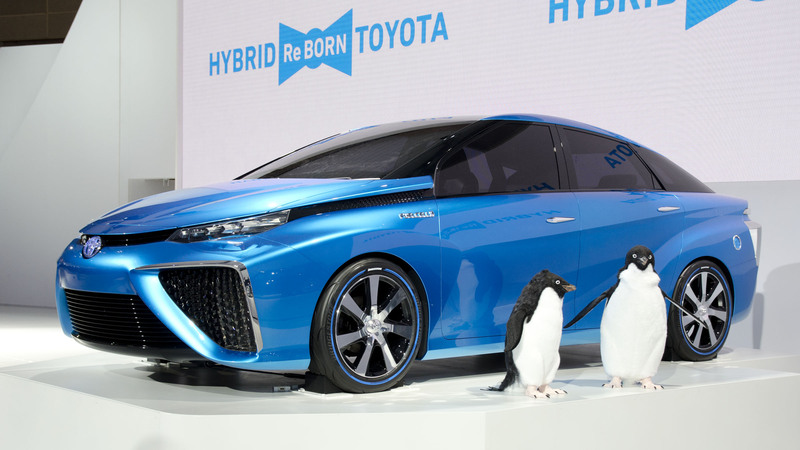 Currently Toyota is making a big push in fuel cells or hydrogen powered cars. Just this year Toyota announced it would free up its fuel cell patients for 5 years to allow the market to build and drive this style of car, of course its challenge will be its charging network, possibly why they opened up the patients, to drive a mass of vehicles to help build a fuelling station network. Clearly California believes in fuel cell technology with 8 hydrogen fuelling stations currently and another 49 in development. With passenger vehicles, buses, PT and heavy trucks using fuel cell technology. Fuel cell electric vehicles (FCEV) play a vital role in the effort to improve air quality, reduce fossil fuel dependence and slow global warming. Several automakers are about to introduce FCEVs to the California commercial market in early 2015. Transit demonstration programs are underway and pilot programs for medium and heavy-duty vehicles are starting. So it could be a huge waste of money to build a network based on electric recharge station with little use in the next 5yrs or so only to be overtaken by another technology? Is it really the best use of our COF funds and what will be our $$$ return on investment, is it done on sound business approach and best use of rate payers funds or is more of a feel good ideology which real deliverables, don’t seem to be much? If carbon emissions were a concern to individuals why would people have two cars an electric and a fossil fuel powered one? Just image the doubling of their carbon footprint in relations to cars by having a second one, it’s a bit hard to understand if you don’t want to increase your carbon footprint, how do you think they made the second car, shipped it here and the disposal etc. Speaking of carbons emissions here is a cut and paste from a USA today article on electric cars and a link to the page, “It is time to stop our green worship of the electric car. It costs us a fortune, cuts little CO2 and surprisingly kills almost twice the number of people compared with regular gasoline cars. Looks like the NHMRC has called for more funds to study Wind Turbine sickness. The main topic of dissent seems to be in the area between those who are adamant that wind turbines emit sounds and vibrations that upset and harm some of those exposed, and those who argue that the available evidence points strongly to health problems and complaints being psychogenic. I love reading some of these things it’s great to see two seemingly opposing sides arguing the same point, i.e. if it makes people sick is it physical or mental, end of the day if it makes you feel sick what difference does it make? The mind is a powerful thing if you think something will make you sick it possibly will? Just because it doesn’t affect one person doesn’t mean it will not affect another, as it is with a whole range of illnesses through our community? Studies from Canada have shown the Nocebo phenomena is almost impossible to separate from putative direct effects. So pretty much the researchers need to be in an area for years testing people for conditions before anyone even talks about a wind farm to get real results to compare, but I suppose if it’s a mental health issue, there would be so many other factors that would change over the time. That would affect their study making it near impossible to compare the effects the wind farms would have on the population with or without a farm being there? But it seems in all my reading the closer to the wind farm the more the issues, in the UK they have proposed rules the bigger the turbine the further away it has to be from residents, or homes. I.e. Wiltshire Council amended its main strategy pre-submission document to impose min separation distances, no matter the local context, of 1 km for turbines over 25 m, 1.5 km for turbines over 50 m, 2km for turbines over 100m and 3km for wind turbines over 150m tall. Possibly one of the reasons why Germany, has so many wind farms off shore anywhere from 400m to 90kms, in 2014 it doubled its off-shore power production. The UK is clearly a world leader in offshore wind farms ahead of Germany currently. So it make you wonder with all the issues, people’s health, Europe leading the way in off shore wind farms, why would people want to stick them right in our Fremantle port, just 100’s of metres from residents homes? If people think they are being made sick from wind farms and the stress of it, actually makes them sick, whether it’s physical or mental does it matter? The effect is there still the same, telling someone who is stressed out its just in your head, get over it doesn’t really help, does it? You have to ask, if it creates such health issues for the community why bother doing it, when there are so many other options, without the stress?